FC Bayern have played a good season – and yet a tough analysis is required to determine why it did not become an outstanding one. However, who should provide the decisive insights? Karl-Heinz Rummenigge could not really enjoy his summer vacation on Sylt. The phone rang every day, the same voice kept ringing: Jupp Heynckes called his supervisor with ideas for the coming year, with suggestions for improvement, with details that could and should make the difference. That was in the summer of 2012, a month after FC Bayern suffered one of the biggest defeats in the club’s history. The “Spirit of 2012” is legendary. The responsibilities of Matthias Sammer, Mario Mandzukic and Javi Martínez, as well as the changes in the squad due to retirements and hundreds of other details which outsiders have no idea about at all. All this contributed to the fact that the Munich team improved within one year in a way that hardly anyone would have thought possible and finally rewarded themselves with the treble. There are some parallels between the 2011/12 season and the 2017/18 season, perhaps the most important one: by no means is everything bad. In 2018, as in 2012, FC Bayern was only a few steps away from the treble. There were close matches, with sometimes utterly peculiar and from Bayern’s point of view disappointing exits. During both years, there were reasons for hope because the arrival of Arjen Robben and James at just the right time. In other words: Not much was missing towards achieving major success. But under no circumstances should this be the season’s conclusion. It should read: Something was missing to achieve their major goals. There are a few little things that are urgently needed at FC Bayern to finally reach those ambitions. A look at the team structure suggests two things. Firstly, we continue to rely on the powers that have been here in recent years. The framework of the 2017/18 Eleven (Neuer, Hummels, Kimmich, Martínez, James, Müller, Lewandowski with a question mark) will not change next year. In goal a great choice, in defence too. The attacking midfield is not. The line-up of Robben, Ribéry, Coman and Gnabry is solid – but FC Bayern has had “solid” line-ups for several years now and that is obviously not enough. The second point, which stands out when looking at this team and which at this point alone reflects the impression of the author: There is no sacrifice. Under Jupp Heynckes, a bunch of individual players has repeatedly turned into a football team that has also continually disintegrated into its individual parts. The cohesion of these teams cannot be compared with that of the 2013 team nor – as an external example – with the team spirit of the German World Champions of 2014. Individual players such as Robert Lewandowski are far too dominant, causing more unrest than focus over the course of the season. Besides, you can’t help but get the impression that there are too many players running alongside Neuer, Hummels, Müller or Kimmich. Even though Alaba, Boateng, Thiago and Javi Martínez are playing football in Munich at the peak of their careers over the past few years, they have all failed to provide this team with a real identity. In other words: It only becomes obvious at second glance, but after Lahm and Schweinsteiger, a leadership vacuum has developed into which only the aforementioned German international players have been able to grow. Certainly the absence of Captain Manuel Neuer also plays a role here, also an often forgotten aspect in the search for reasons for the failure shortly before the finish. Nevertheless, one thing is certain: the current team structure is not optimal – the decisive few percent are missing here. The lesson to be learned from the management analysis after the 2017/18 season must be similar to that after 2011/12: reinforcements are needed – perhaps even a few departures – and a strong approach towards the candidates criticised above. And here lies the big problem. It is completely unclear from whom this critical management analysis should come. Uli Hoeneß is the elephant on Säbener Straße that nobody wants to talk about, nobody publicly criticises, but with whom all decisions are actually connected. Karl-Heinz Rummenigge also only hints here and there that he would be more open. More open to external influence and orientation towards international standards rather than the Mia San Mia guidelines. In the end, both live together in a bubble in which everything runs perfectly and in which there are no wrong decisions – just as there is no honest self-criticism, which is also expressed publicly, such as in 2012. Hasan Salihamidzic does, one hears, a lot of things right in micro-management. This may be the case when it comes to cigarettes in the hands of co-trainers, but in an interview with the Süddeutsche Zeitung (weekend edition) at the latest, he clearly indicated that he dances to the Hoeneß flute, that he is not one who thinks outside-the-box and that his public presentation can be expanded, to say the least. The sports director talks a lot about the Bayern DNA, which might have been missing in the match against Real Madrid and about the fact that they were looking for a coach who, like Guardiola, doesn’t have his own big team again. All this sounds like the statements of an administrator who constantly repeats the company guideline (if still not clear: MIA SAN MIA! ), firmly believes in it and hopes that critical demands can be rejected with the reference to “narrow defeats”. To bring a personnel comparison: All this sounds more like Christian Nerlinger (Bayern of the past, fired in 2012) than Matthias Sammer (not Bayern of the past, won 11 titles in 2012-2016). It is not to be expected that the necessary initiatives will come from the executive level. 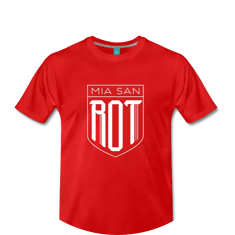 Thus, paradoxically, the hopes lie on the man who comes to FC Bayern in the public eye as the birth of the Mia-San-Mia-Bayern gene and as a good friend of Brazzo. Niko Kovac has just beaten his future club in the cup final with clever football and can prove from July 1st that he is up to the big task in Munich. The whole world is already speculating on its failure, but perhaps this is the way to success. What Kovac has in common with the people who so passionately turned FC Bayern 2012 upside down in some places is the “I’ll show you” feeling. The Heynckes critics were loud after the defeat against Chelsea and they are loud again now when they talk about similar points as then. The quiet Kovac, who can’t play possession football anyway and can’t control the stars, won’t be able to reinvent the wheel and never win the big titles. Perhaps he won’t succeed and the scenario of an unsuccessful coach comes true – and perhaps then the bosses would wake up. But maybe Niko Kovac often dials his boss’s phone number in June and annoys him during his holiday on Sylt with details for the new season. And perhaps this is the way in which a combination of Mia-San-Mia and fresh spirit actually leads to achieving those last, decisive percentages that have been missing this past season.